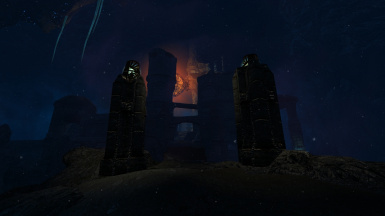 Ever wished for more things to see while in blackreach? Wanted some more locations to explore and marvel at? 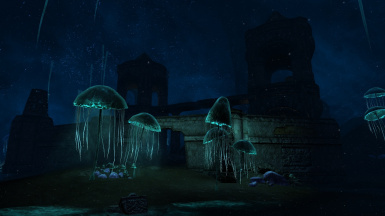 Well this mod is my attempt to bring some much needed additions to all of blackreach, so that you can have more things to see! More contraptions where you think "what was that meant to do?". 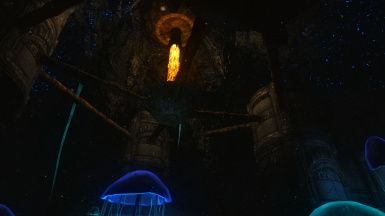 This is a mod that aims to bring out even more marvel and glory to the caverns of blackreach. As I walked around down there the first time I was amazed at some of the vistas.. and equally puzzled as to why so much of that mystical realm was... well empty and boring. The goal of this mod is to remedy that. I have begun adding more exotic locations to visit. More contraptions that highlight just how ingenious and marvelous the dwemer civilization was. I have ofc. also tried to add more enemies, and more treasure chests... in short I hope to add to your adventures while in blackreach. Oh yeah and before I forget... I detest the original teal visuals so those have been changed to something that in my opinion fits a lot better. This initial release is an open beta of sorts! So there might be a few bugs and misplaced meshes here and there. If you find any I do hope you will take the time to mention it so it can get fixed. If you are curious about the state of the mod and you do not want to ask all the time, I have made a sticky post in the comments section that will outline what I am working on, as well as what I have planed for the future. I do hope that others will come with suggestions since I do need all the inspiration I can get. Part of this whole beta release is so that I can hopefully make it even more awesome for the people who will want to use it. No there wont be a version that deviate from this! 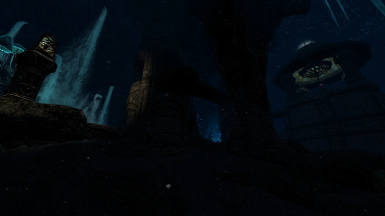 I highly recommend my other blackreach mod which alters the way various objects in blackreach look. Download and install using your favorite mod manager. There is only a single .esp file. Not cleaned with tes5edit yet since this is a beta release! Skyrim Immersive creatures is fully compatible. Wayshrines of Tamriel is fully compatible. Skyrim Sewer 4 is fully compatible. Any other mod that alters enemy difficulty should be fully compatible. 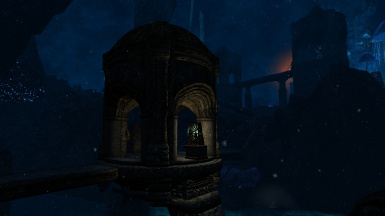 Will slightly conflict with any mod that alters Blackreach weather. 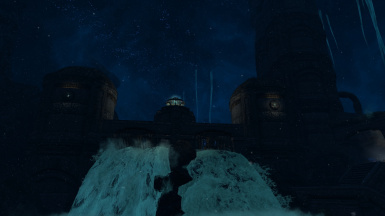 Will conflict with any mod that alters the blackreach water. The easy way to make them compatible is to load after any mod that are related to water and weather! 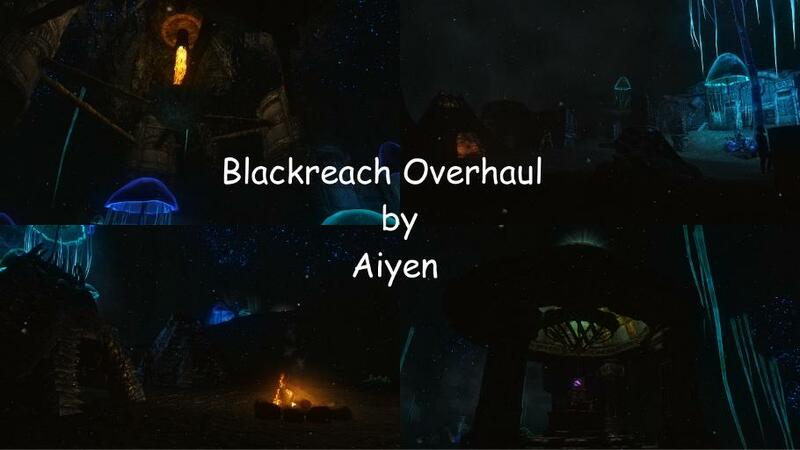 I am not currently aware of any other mods that alter blackreach! Will update this list as people let me know. prod80 for help with colors and general banter! The STEP community for being awesome and helpful. Bethesda for all the assets, and a great game. All of you people who I forgot to mention at the time of writing! Shame on me! Please ask before you use anything from this mod. I will most likely be very open to ideas of collaboration... and in general ideas that help make blackreach a more epic place!